Twenty years ago, high quality red wines from the Douro Valley were almost unheard of. This was the land of Port, one of the world’s great classic wines, where the baking slopes of the valley had been painstakingly carved into narrow terraces, worked entirely by hand and planted with indigenous grapes like Tinto Roriz, Touriga Nacional and Touriga Franca. The grapes where harvested each autumn, crushed and fermented, then the wines sent many miles down river to the lodges of Villa Nova de Gaia for ageing. When Dieter Bohrmann, a Belgian-based businessman, bought the Quinta do Passadouro (right) in 1991 the historic 18th century estate was already well-known for its Port wines. 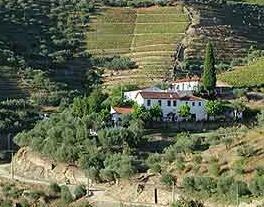 Based in the highest quality Cima-Corgo region close to the town of Pinhão, He inherited ancient vines of between 50 and 70 years-old, all planted on slate soils, and a traditional winery complete with lagars in which grapes were trodden by foot. But Bohrmann came to Portugal with a new plan for Passadouro: I was not going to come to the Douro and tell people ‘This is how to make Port’.” he says, “but I did have a vision of using the fantastic quality of these grapes to make red wine”. Historically in the region, the best grapes – from the superior vineyards and oldest vines – were reserved exclusively for Port, with only younger vines from inferior territories deigned suitable for the usually rough and ready table wines. Bohrmann’s plan was to take some of Passadouro’s very best plots and reserve these exclusively for a red wine of the highest quality, to sit alongside the vintage Port of Passadouro as the finest expression of what this terroir could offer. The grapes are hand-harvested very ripe (Cima-Corgo enjoys a longer growing season than some other regions of the Douro), and are de-stemmed before a team of 30 treads them by foot in ancient granite tanks known as lagars. Winemaker at the Quinta do Passadouro is Jorge Borges, and amongst the innovations that he and Dieter Bohrmann have introduced are flooding the lagars with carbon dioxide during treading to prevent the wine oxidising, before ageing in French oak barrels. But tradition is respected: the 18 hectares of 70-year-old vineyards are picked by hand into small crates and trodden overnight by 30 workers. For many years until 2003, the best vineyards of Passadouro supplied grapes to another great name of Portuguese wine, Dirk Niepoort, for use in his premium table wine Redoma. Since 1999, Jorge has been winemaker for Redoma in conjunction with Dirk Niepoort. It would appear the split between the two operations last year was not altogether harmonious, and certainly is was not without impact, with an important part of the production of Redoma, and its winemaker, now forming a more effective opposition to the superb Redoma wines of Niepoort. 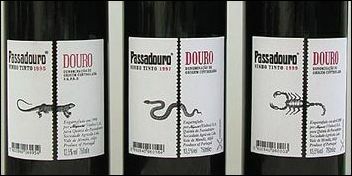 For the first time, Passadouro will release a Reserva bottling in the 2003 vintage, made from a single vineyard of 70-year-old vines that would previously found its way into Redoma reserva.Dieter Bohrmann seems reluctant to discuss the specifics of these recent events, simply saying “Dirk is a huge character on the world wine stage, with a fantastic reputation. It was time for him to spread his wings and go out on his own”. As part of the future for Quinta do Passadouro, a brand new barrel cellar has recently been constructed in the Douro, where the wines will be aged in temperature and humidity-controlled conditions, rather than making the journey down the Douro river to Villa Nova de Gaia. The wines will continue to be made completely traditionally, “for as long as we can afford to” says Bohrmann, explaining that labour costs of foot-treading grapes are huge compared to modern presses. But Jorge Borges insists the foot can produce a uniquely soft wine style, with maximum extraction of flavour without breaking the pips and releasing bitter components. Jorge’s underlying philosophy for his wines is to achieve balance, with ripeness particularly important, and the retention of good levels of acidity. He cites the tannic nature of many of the indigenous grapes varieties to be a potential problem if ripe fruit, good acidity and the character of the terroir through the quality of the fruit, are not managed well. He will green-harvest ruthlessly if required, losing up to two-thirds of the grapes, to ensure that the skin to juice ration is optimum at harvest. With a production of around 50,000 litres combined of table wine and Port currently, Jorge’s eventual aim is to have around 80,000 by 2009, once new plantings have reached maturity. I attended a small vertical tasting of the Quinta do Passadouro reds in Lisbon. These are my notes on the range of wines. This wine is bottled though not yet released. Only around 8,000 bottles were made. It has a very deep, vibrant purple colour and fantastically vibrant, deep, lush nose of cherry and liquorice with sleek, black fruit and just a background note of nutty, marzipan oak. On the palate it is quite clamped-down and restrained at present, with an inky depth of fruit that is dark and quite closed, with spice and cherry-skin darkness and concentration. It has a dusty suggestion of muscular depth and good length. This will be release late in 2005 and has terrific potential. A much duller, less expressive nose with a little hint of bacon fat and earthy quality over good fruit, but not nearly so intense as the 2003. It has a lovely palate though, with a juicy blackcurrant quality, tinged with herbs, and a clean, mouth-watering style. It has lovely, crisp cherry acidity with a little cedar in a style that is drinking very nicely with a real bite of acidity playing well against ripe fruit and firm tannins, and a little background of toasty warmth. This wine has been shipped and is on the market. This is still a nicely dense ruby/crimson colour, with quite a meaty, earthy nose that is far gamier and more rustic than the younger wines, with a bloody edge to black fruits. It has beautifully delineated fruit on the palate though, with a fine blackcurranty quality emerging, some fudge-like warmth and hints of chocolate. Again there is freshness, with cherry and even citrussy acidity cleansing the mouth and leaving this long and fresh. This sample of the 2004 Port was also on tasting, and Jorge thought it likely that 2004 would be a vintage year for the Quinta. The colour is crimson/black and it has a smoky, schisty, leather, woodsmoke and earth nose with lots of floral lift and a lovely plush depth of fruit. Already smooth, rich and silky on the palate, it has spices and a toffee sweetness, with fresh, grippy fruit and tannins; edgy cherry and layers of black fruit, a fine concentration and firm, elegant tannins. For all stockists of Quinta do Passadouro, see wine-searcher.com.